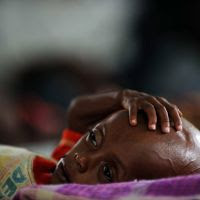 "The drought and famine in Somalia have killed more than 29,000 children under the age of 5, according to U.S. estimates, the first time such a precise death toll has been released related to the Horn of Africa crisis. 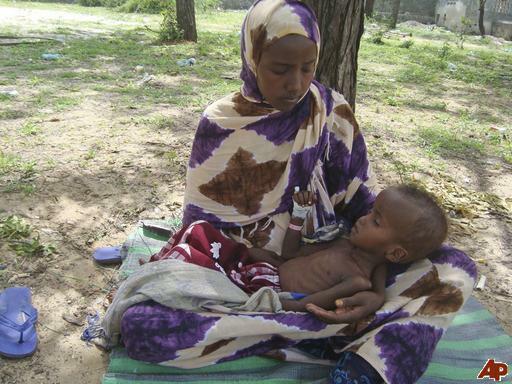 The United Nations has said previously that tens of thousands of people have died in the drought, the worst in Somalia in 60 years. 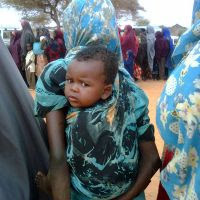 The U.N. says 640,000 Somali children are acutely malnourished, a statistic that suggests the death toll of small children will rise." 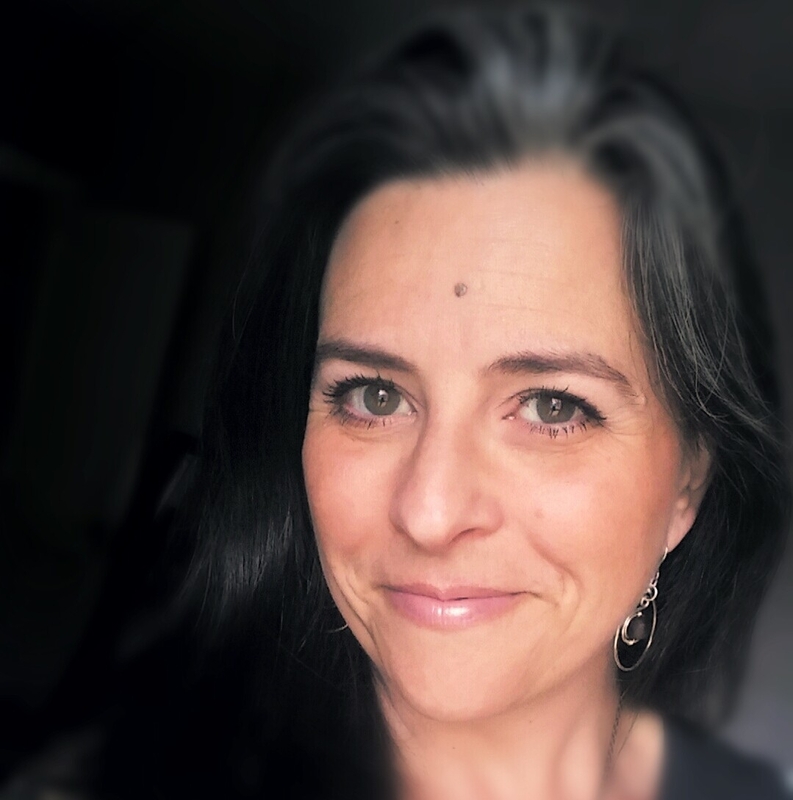 I have written about giving of your time, your heart and your money. I've talked about how gigantic and overindulged we are as Americans. There truly isn't anything I can SAY about what's happening along the Horn of Africa...I am not a horror writer and this is a tragedy that I cannot adequately describe with words. So today is different. This is what famine looks like. This is a mother holding her baby as it starves to death. This child is 3 years old. 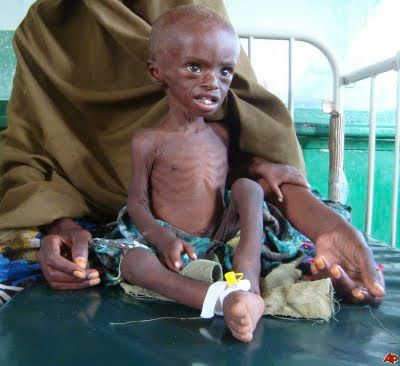 THIS child is receiving nutrition from relief organizations. Please take a moment and give anything you can to help save the life of a child who just isn't getting enough eat, a child who is going to slip away from the embraces of her mother because there isn't enough FLOUR to make a dough ball, a child who will die in his father's arms as they make the trek to seek help. I know stocks are tanking, jobs are being cut, benefits are being slashed, food and energy prices have gone through the roof and we all feel like we're drowning. But none of us is holding a baby who's dying in our arms because of famine. And if everyone gives what they can ($5 even!) we can change the course of this tragedy. I don't think it's the worst thing in the world to ask people to skip one McDonald's value meal, one lunch one time, to help a child SURVIVE months and months of famine...that small hunger they'll feel before they eat dinner is nothing compared to what these babies are feeling. 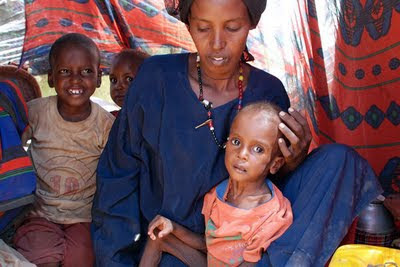 For more charities working in Somalia, go here. 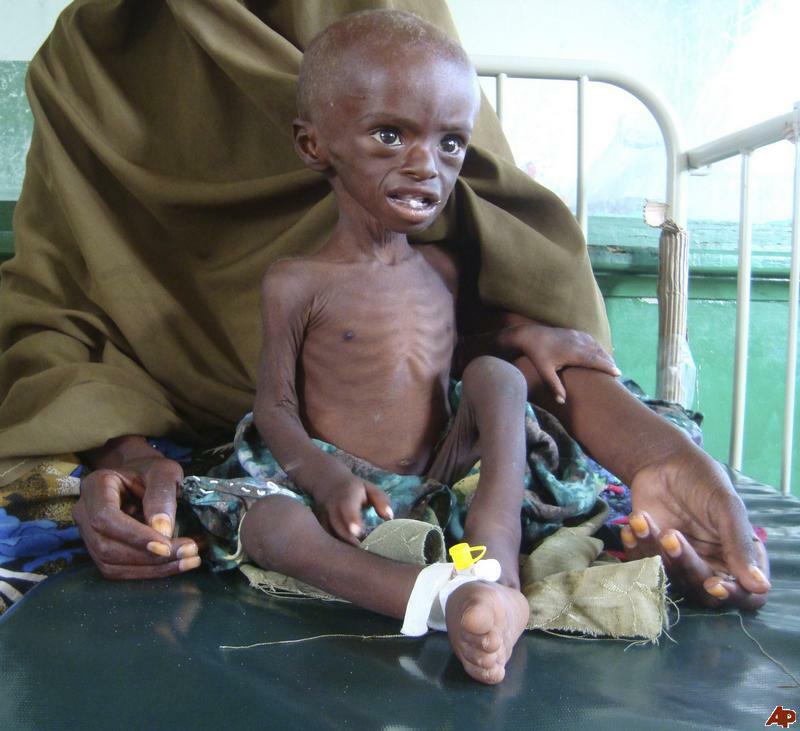 Please help a child whose only crime has been to be born in a country without food. Please help a mother or father who only wants their child to LIVE.